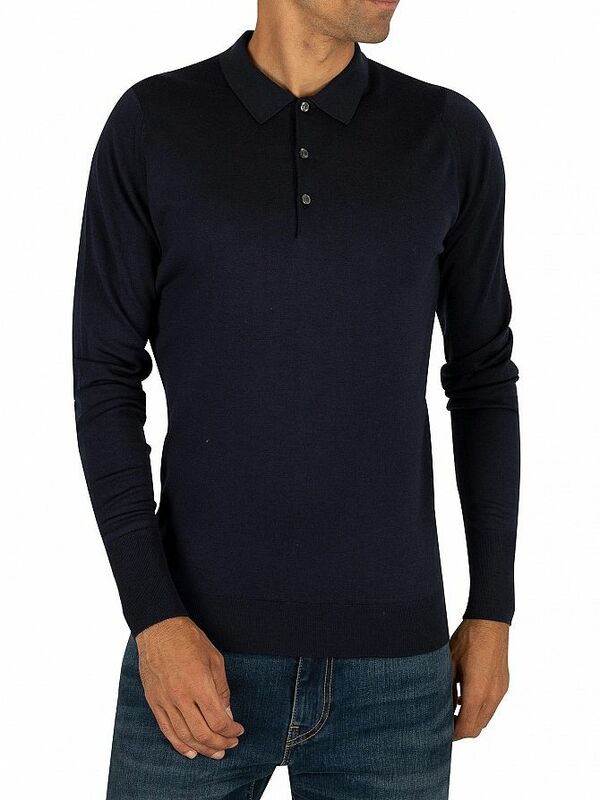 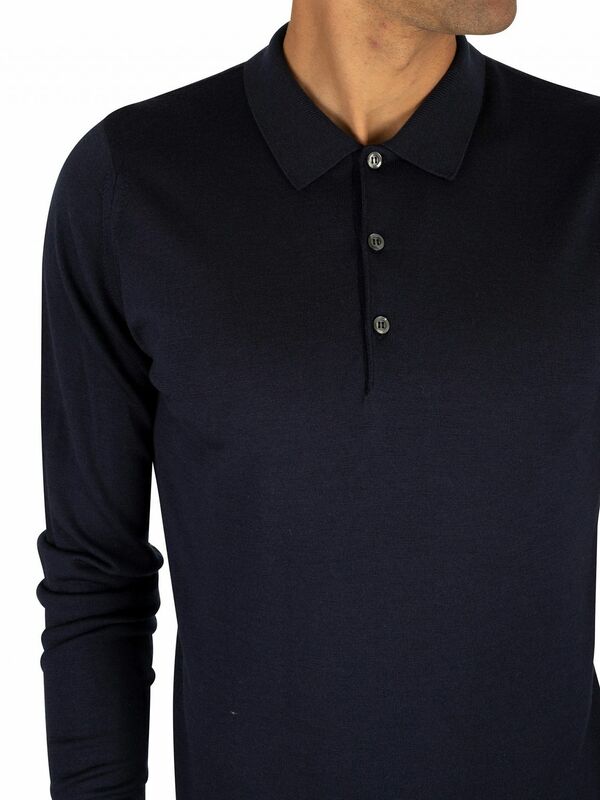 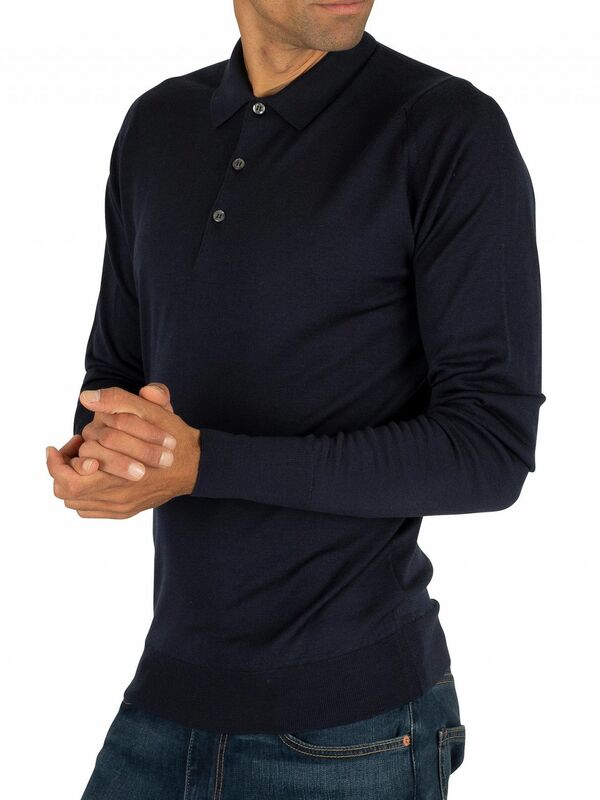 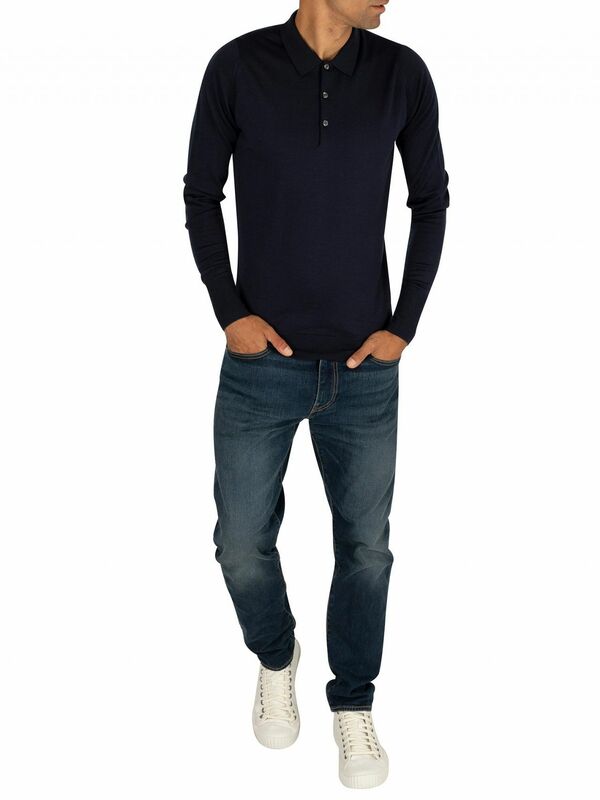 The Longsleeved Knitted Polo Shirt from John Smedley features turn-down spread collar with three-button placket. 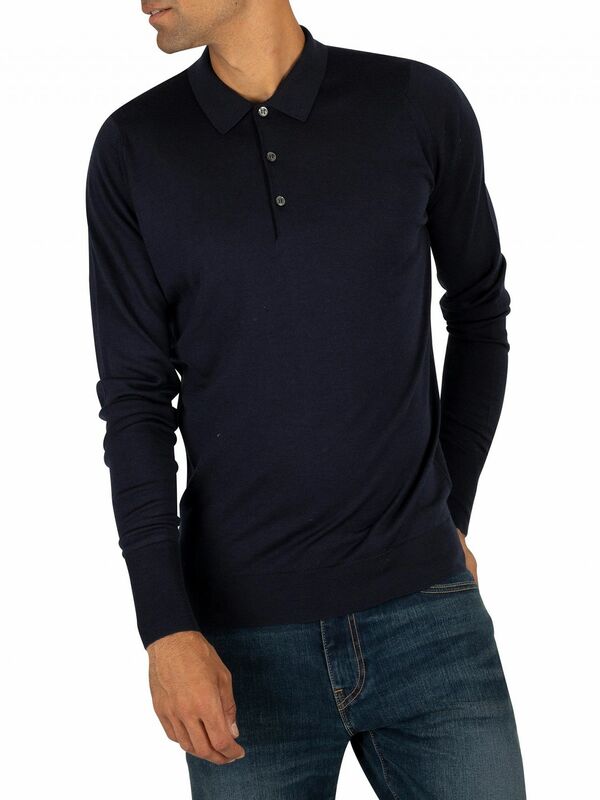 This long-sleeve shirt is designed ribbed at cuffs as well as the hemline. 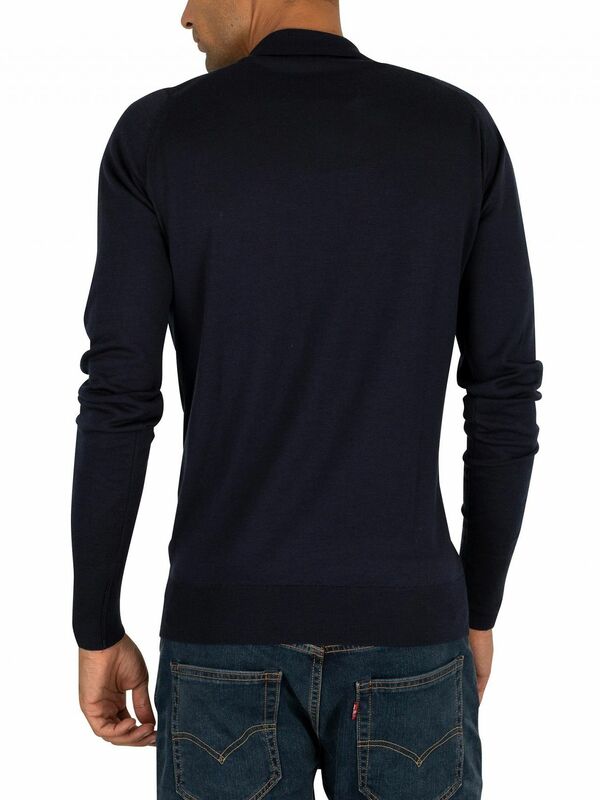 It is made from merino extra fine wool, and comes in midnight colour.